Jul. 6, 2017 12:30 a.m.
Red Deer City Councillor Lawrence Lee will be seeking re-election for the coming term. “Having served a first term, you realize that the City’s a pretty complex and dynamic organization, and you get the idea when you first run that you’re going to change so many things so quickly, and once you get into it, it really shows you that there’s a lot of work to be done,” he said. Lee of course too enjoys the work and believes he’s good at what he does. He said people should vote for him because of the fact that he’s invested in Red Deer, having lived here all his life. He said he’s seen it grow from a community of 25,000 to its current population. 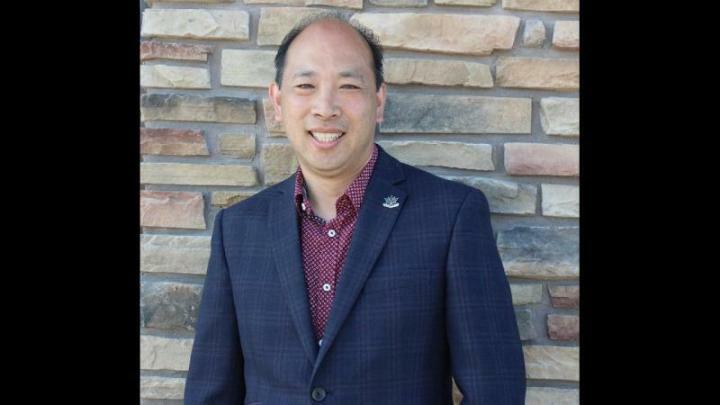 Prior to his time on council, Lee has also been involved in the educational system when he was board chair of Red Deer Public Schools as well as a school board trustee for nine years. Lee also has deep ties with the cultural sides of the community, like being past president of the Red Deer & District Chinese Community Society. He also said he understands neighbourhoods. Having grown up in North Red Deer, he said people don’t understand that Fairview and Lower Fairview, which is now Riverside Meadows, were huge roots in northern Red Deer development. He said he often hears people say that nobody fights for the north or understands it, but for Lee, he said he absolutely does. Lee added that he’s approachable as well. When it comes to Lee’s beliefs, they lie in flexibility, transparency and innovation, he said. His vision for Red Deer is that he’s always believed the City to be a centre of innovation. “I’ve promoted in the past for Red Deer to have not only entrepreneurial incubators, but cultural incubators to expand us getting out of being so resource-dependent,” he said. His vision, he said, is also to enhance what the City has, respecting the past and working on that innovation to make Red Deer really stand out. Looking into the near future of his campaigning process, Lee said it isn’t much different than what he has done during his first term as a councillor. He said public dialogue and engagement are two of his priorities, as he comes from community associations. “They used to have in every neighbourhood a set of parents or people that are invested in that neighbourhood, and they would get together and have barbecues, getting the neighbourhood sense and feel because I think that always has been the key,” he said.